A scenic one day hike through the dense and foothills around Kathmandu offers the chances to see Nepalese rural life as well as excellent mountain views without going away too far and without ascending high altitude. Besides you do not have to lose the comfort of the city while doing these hikes. 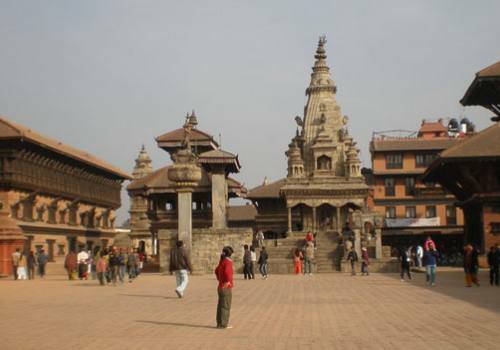 Kathmandu is a valley enclosed by beautiful hills and long-established traditional villages. These hills are covered by terraced farms, lush and lovely forests. Despite being near from Kathmandu the villages are still not affected by the modernity. 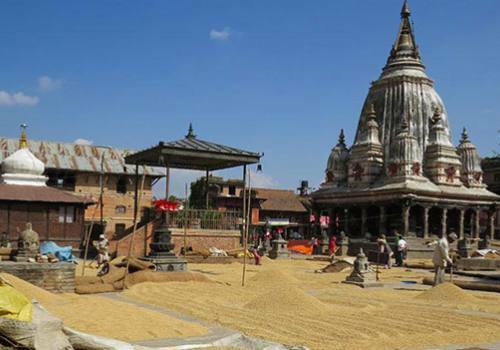 These Kathmandu hikes and short treks are for every age, group and for all seasons. Phulchoki, situated at the height of 2782m from sea level is the highest and located south of Kathmandu valley. This is one of the most attractive hiking in terms of vegetation in Kathmandu valley. About 14 kms from Kathmandu city and takes about 30 minutes to Godavari (Royal Botanical Garden) with packed lunch. From Godavari we begin hiking gradually uphill all the way through sub - Tropical thick forest for about four hours. The magnificent view from western part of Annapurna range to Gauri Shankar in the east can be seen from here on a clear day apart from the breathtaking view of Kathmandu valley. After lunch we explore the surrounding, take photos, enjoy the view then we walk down following the same trail to Godavari for about 2 hours and drive back to Kathmandu. Nagarjuna, known as a Jamacho, nearest day hiking peak from Kathmandu which is located to north-west of Kathmandu Valley at the height of 2128 covered by thick forest. The hike starts from Rani Ban (Queen’s forest) takes about 20 minutes drive from Thamel for entry gate and about 2 and half hours of walk up to the summit. 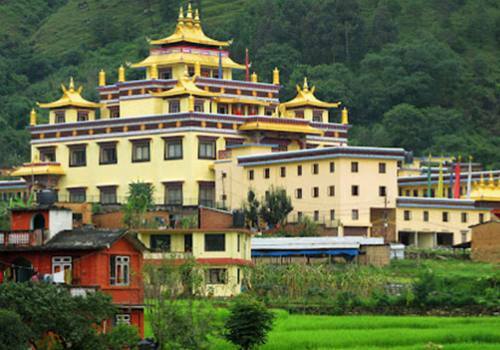 Nagarjuna hill is popular Buddhist pilgrimage site having shrine of Padmashambhava. This is an ideal hiking for those people visiting Nepal who cannot go for longer and higher treks. Shivapuri, located at the height of 2563m northern part of Kathmandu is second highest hill around Kathmandu valley offers nice jungle walk through sprawling forest to Shivapuri, natural environment, spectacular Mountain View of Manaslu, Ganesh Himal, Langtang Himal and Gaurishankar Himal to east. Exploring cultural villages is more rewarding which is located near source of holy Bagmati River, a paradise for bird watchers. The good thing about hiking in Shivapuri area is that there are numerous options - whether to hike for just 2, 3 hours or for an entire day - there are choices. If you look for short hike around this area then we can walk up to Nagi Gompa, and end the hike at Kapan Gompa. From Budhanilkantha we walk through Shivapuri conservation area. This is the Government protected forest where over 500 species are found. We start our hike from the southern boundary of the area where the army check post is located. Nagi Gumpa situated at an altitude of 2330 m north of Kathmandu and above Budhanilkantha Temple is only Monastery for the Nuns practice Buddhism and foreigners often come there for meditation. It is a steep uphill hike through narrow and dusty trail for about half an hour and two hours gradual uphill trial to Shivapuri. After lunch and hang around from sometime, we take a short cut down hill trail to Kopan. We can visit the grand Full Hari and Kapan Monasteries on the way back then drive back to Kathmandu. Chandragiri, situated to south-west of Kathmandu valley is the one of the best day hiking places around the valley. It follows eastern range to Hattiban Resort and starts from nearby Matatirtha “Hotel Outlook INN at the altitude of 1650 meters above sea level. A majestic view of Manaslu, Ganesh Himal, Langtang ranges, Gaurishankar and Everest are seen from here. This hike takes roughly seven hours. At first three hour lead steeply ascend to Chhap Bhanjyang with the elevation 2275 meters above sea level. During this climbing period you will get already picturesque snow covered scenery range above Kathmandu valley. And about quarter to hour lead to eastern south for Chandragiri hill view point. This hill is connected with the Buddhism religion. The height of Chandragiri hill is 2475m. This hike is good for bird watch too as well as wild animals. As local people have seen with mostly body part red tiger and black bear and unspecified other wildlife. And one hundred thirty five specified Ayurvedic herbal plants found in this area. By the way, you may do this trip with camping at Chhap Bhanjyang for one night. If you camp at then you can visit a big cliff where 500 meter long cave. First optional, previous night stay at Outlook Inn Hotel at nearby Matatirtha for sunrise with massive Mountain View of Mt. Manaslu to Everest view from bed or balcony, then after breakfast start hiking with pack lunch. Second option, if you do not want to see sunrise view you may drive from city about 30 minutes to starting point Outlook Inn with self pack lunch. Pharping Champadevi hiking is an easy and enjoyable day hike in the southern hill of Kathmandu valley. This hiking tour starts in the morning after an hour drive to Pharping village on the way to celebrated Dakshinkali Temple. Dakshinkali Temple is a symbol of Hindu blood thirsty goddess Kali and attracts thousands of devotees every day. There is special worship take place every Tuesday and Saturday where hundreds of animals are sacrificed on the name of goddess to fulfill the human wish. It will take about 2 hours to reach on top of ridge. Champadevi hill (2285m.) is also a pilgrimage site itself having Buddhist Stupa and Hindu Shrine on the top. Walking through the lush pine forest on well develop trail is really wonderful experience. Superb view of Langtang, Gauri Shankar, Jugal, Dorge Lakpa Himalayas are the major attraction of the hiking. Apart from it, we can observe the bustling Kathmandu city and spectacular village settlements from the top. There are several optional return routes. Trip cost: NPR. 1500.00 for Nepalese, INR 2800.00 for Indian nationals and USD 55.00 per person for other nationals. The price is based on minimum 2 pax for the foreign nationals; there must be minimum 6 pax for Nepalese nationals. This cost includes: Private transportation (both ways), Guide, and pack lunch. Duration of the trip: 7 to 8 hours including driving. Walking boots, raincoat, day back, light jackets, camera, extra T-shirts, water bottle (including water) and other personal day hiking equipment, some snacks, chocolates etc. One hike guide and all his/her expense. Pack lunch, seasonal fresh fruits and mineral water. Monuments entry fees if required.